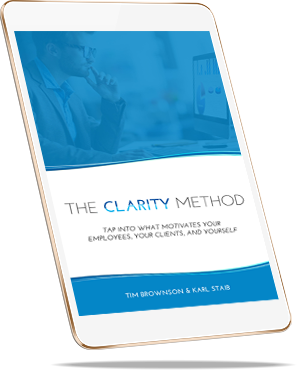 The Clarity Method ™ taps into what motivates your employees, your clients, and yourself. From someone leaving their job to deciding to buy a new car the choice always comes back to core values. As a leader, you will regularly face people who are unsure, anxious or overwhelmed and unable to explain why. The majority of people’s problems are caused by an action, incident or choice that is conflicting with their core values. When you understand people’s core values, you can ask the questions that uncover what is holding them back and how they can succeed. 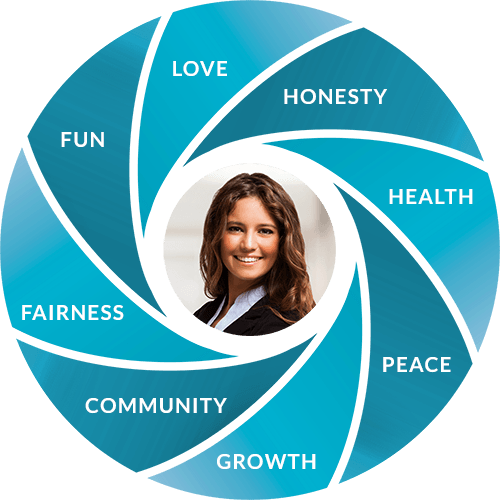 Do you want to help people get to the heart of an issue so they can get clear on their goals? That’s exactly what The Clarity Method ™ does for people. When you help someone align with their core values it motivates them. In the end, that creates better results. The Clarity Method was developed back in 2008 when a tool was needed to help clients gain clarity so they would stop putting off what needed to be done. A professional system was built around it so leaders (coaches, managers, business owners) of all types can help their people get unstuck. Whether you are a business coach or you are a manager of a small team you must understand each person’s core values. You’ll get a much better idea of how to get them unstuck and back to taking action. Are you ready to get unstuck and get focused? Get to know your client quickly, so you can get powerful wins. Be a better leader at work so you can get the most out of your team. Become a leader that inspires others to go above and beyond. Learn how to master the tools that will TRANSFORM the response you get from your team - overnight.